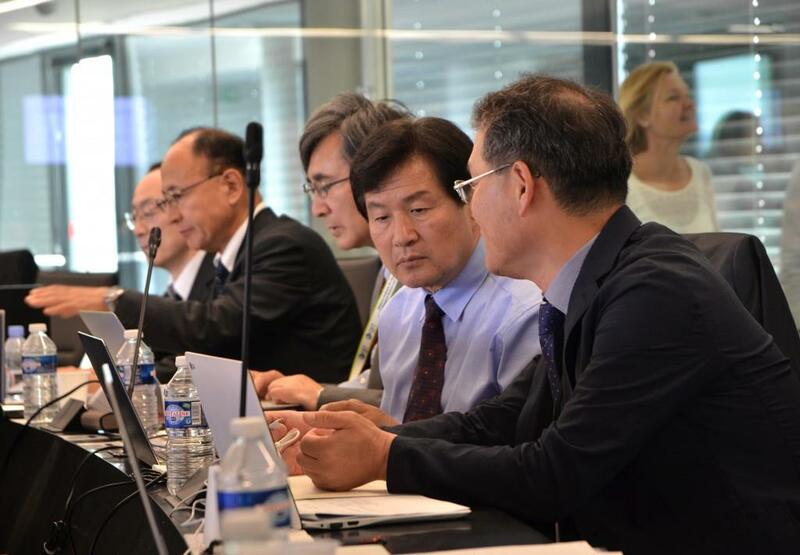 During the Council meeting on 21-22 June, representatives of China, Europe, India, Japan, Korea, Russia and the United States reaffirmed joint commitment to the project on the basis of detailed reports and indicators demonstrating that the project remains on schedule for First Plasma in 2025. Yet those on the front lines at the ITER site are only the visible part of the iceberg, as the project could not be realized without the support of home governments, Domestic Agencies, universities, labs and of course industry, where ITER components and systems are in production. 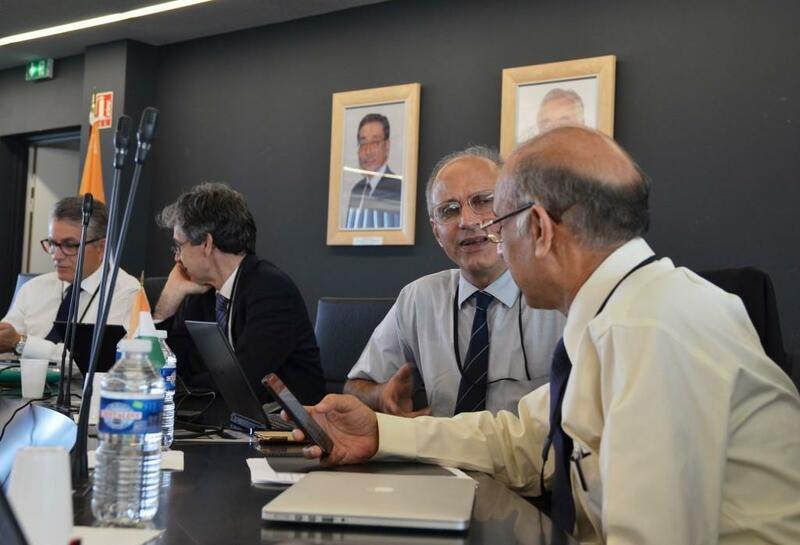 Meetings of the ITER Council, held at least twice a year, are the occasion to measure this broad base of support, as representatives and experts from every Member convene to review project progress, project management, and the status of construction and manufacturing. 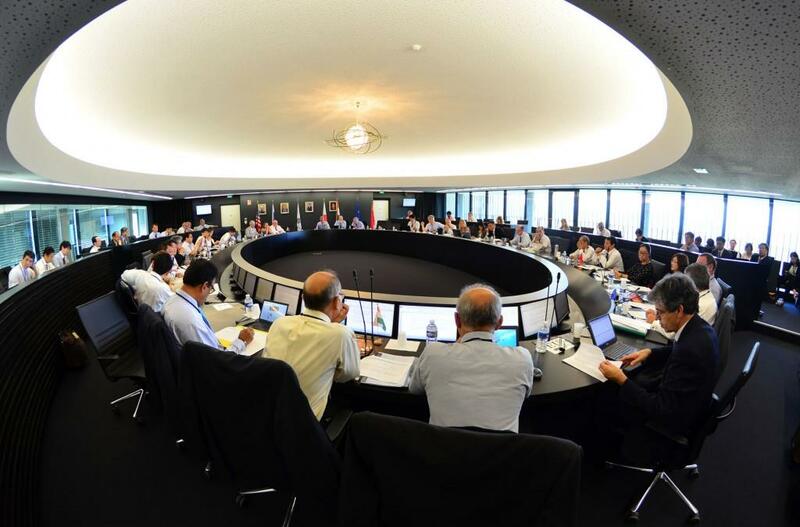 The Twentieth Meeting of the ITER Council on 21 and 22 June was no different. The Council reviewed a detailed set of reports and indicators demonstrating that—while working to an extremely demanding schedule and challenging technical requirements—the ITER Project continues its strong performance and remains on schedule for First Plasma 2025. 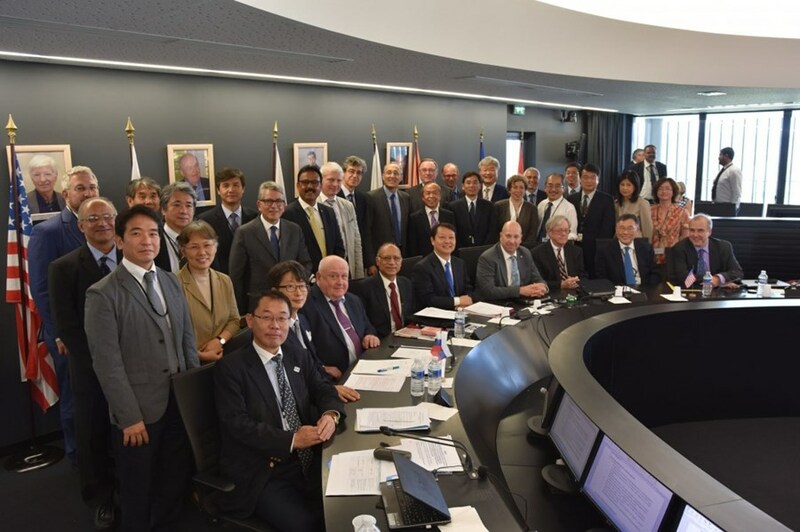 Without minimizing the challenges that remain before the completion of construction, the members of the ITER Council reaffirmed their joint commitment to the mission and the vision of the project. 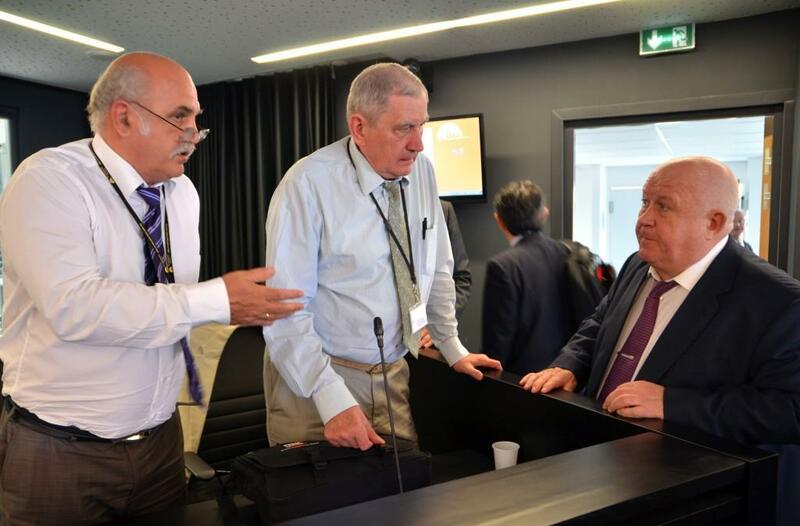 View the photo gallery from the Twentieth ITER Council (IC-20) below. 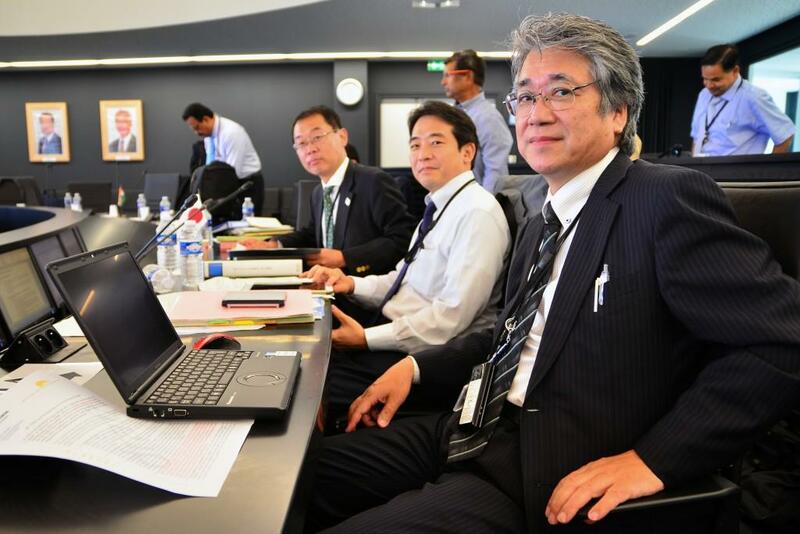 The ITER Council is responsible, in accordance with the ITER Agreement, for the promotion and overall direction of the ITER Organization. The two regular meetings every year (June and November) can be supplemented by an extraordinary meeting for the examination of specific issues. 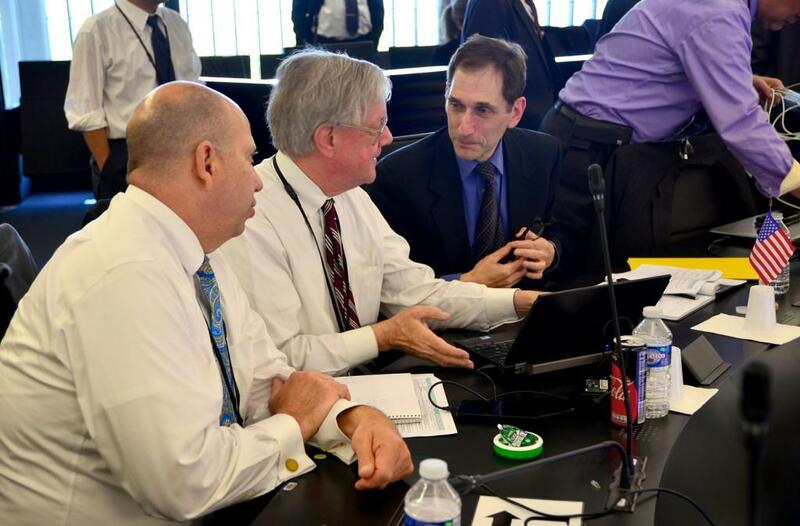 Representing the Russian Member (left to right): Anatoly Krasilnikov, Head of the Russian Domestic Agency; Vitaly Korzhavin, Deputy Head of the Russian Domestic Agency; and Igor Borovkov, Head of Delegation, Deputy Chief of Staff of the Government Executive Office. From Japan (left to right): Head of Delegation Hiroshi Masuko, Director-General for International Nuclear and Fusion Energy Affairs, Ministry of Education, Culture, Sports, Science and Technology (MEXT); Shigekazu Matsuura, International Nuclear and Fusion Energy Affairs Division, Research and Development Bureau, MEXT; and Masahiro Mori, Managing Director, Fusion Energy Research and Development Directorate, QST (National Institutes for Quantum and Radiological Science and Technology). From the delegation of India: Arun Srivastava, Secretary, Atomic Energy Commission and Head Institutional Collaboration and Programs Division, Department of Atomic Energy; Shishir Deshpande, Head of the Indian Domestic Agency; and Ujjwal Baruah, Project Manager for ITER India, Institute for Plasma Research. Seated in front of portraits of the first two ITER Director-Generals in the Council Chamber: Gerassimos Thomas, Head of Delegation, Deputy Director-General, DG Energy, European Commission; Joaquin Sanchez, Chair of the Governing Board, European Domestic Agency (Fusion for Energy); Shashank Chaturvedi, Director, Institute for Plasma Research, India; and Ravi Bhushan Grover, Head of Delegation and Member of the Indian Atomic Energy Commission. 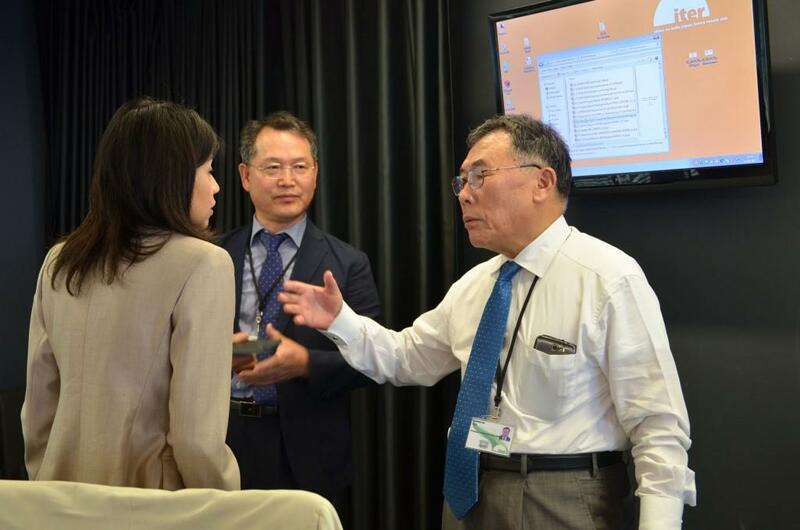 Council Secretary Sachiko Ishizaka, ITER Deputy Director-General Gyung-Su Lee (Chief Operating Officer), and Chair of the Science and Technology Advisory Committee (STAC) Yutaka Kamada. From the US Member: Head of Delegation Steve Binkley (centre), Acting Director of the Office of Science, US Department of Energy (DOE); Joseph May (left), Director of the Facilities, Operations and Projects Division, Office of Fusion Energy Sciences, Office of Science, DOE; and Jonathan Margolis (right), Deputy Assistant Secretary for Science, Space and Health, Bureau of Oceans and International Environmental and Scientific Affairs, US Department of State. Attending from Japan and Korea: Yasuhiko Takeiri, Director-General, National Institute of Fusion Science, National Institutes of Natural Sciences; Kenichi Kurihara, Director-General, Naka Fusion Institute, Fusion Energy Research and Development Directorate, QST; Head of the Japanese Domestic Agency Yoshinori Kusama (Deputy Director General, Naka Fusion Institute, Fusion Energy Research and Development Directorate, QST); Kijung Jung, head of the Korean Domestic Agency; and Hyeon Gon Lee, Deputy Director-General of ITER Korea and Chair of the Council Preparatory Working Group (CPWG). 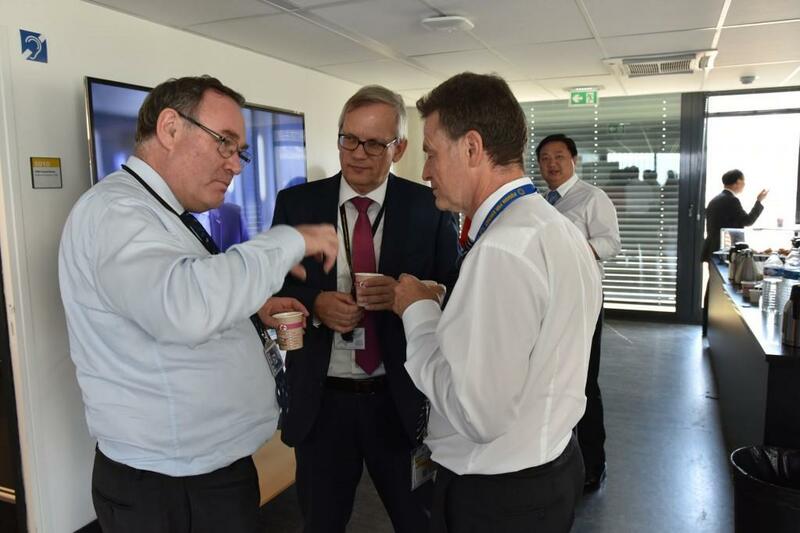 Chairman of the French Alternative Energies and Atomic Energy Commission (CEA) and High Representative for ITER in France Daniel Verwaerde (left) discusses with the Head of the ITER Project Control Office Hans-Henrich Altfeld, and Director of the European Domestic Agency Johannes Schwemmer. 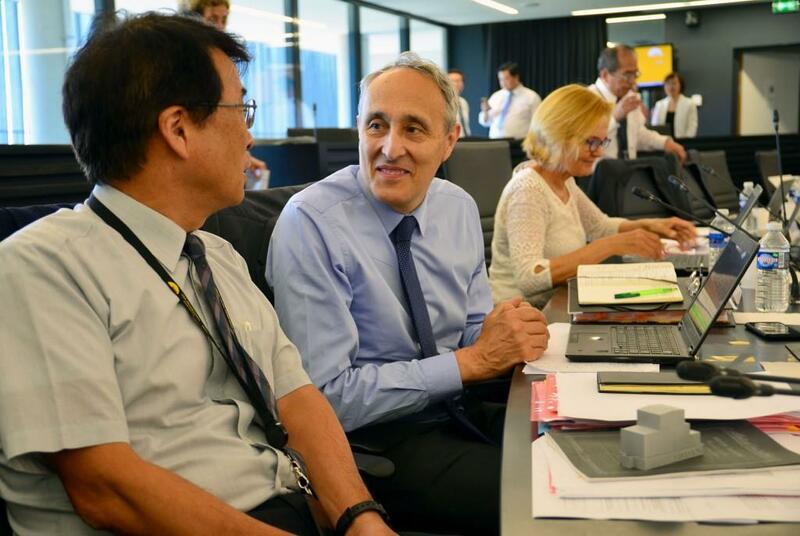 Over the course of the two-day meeting, the ITER Organization and the Domestic Agencies provided detailed reports and indicators on project progress. The Council Members reaffirmed their joint commitment to the mission and the vision of the project. 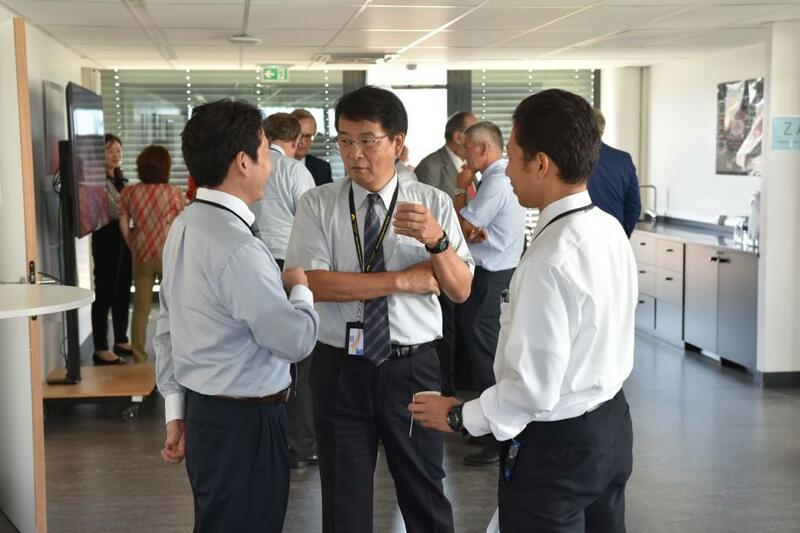 ITER Deputy Director-General Eisuke Tada (Relations Coordinating Officer) speaks with members of the International Nuclear and Fusion Energy Affairs Division, Research and Development Bureau, Ministry of Education, Culture, Sports, Science and Technology (Japan's MEXT)—Shigekazu Matsuura (Director) and Ken Kajiwara (Administrative Researcher). 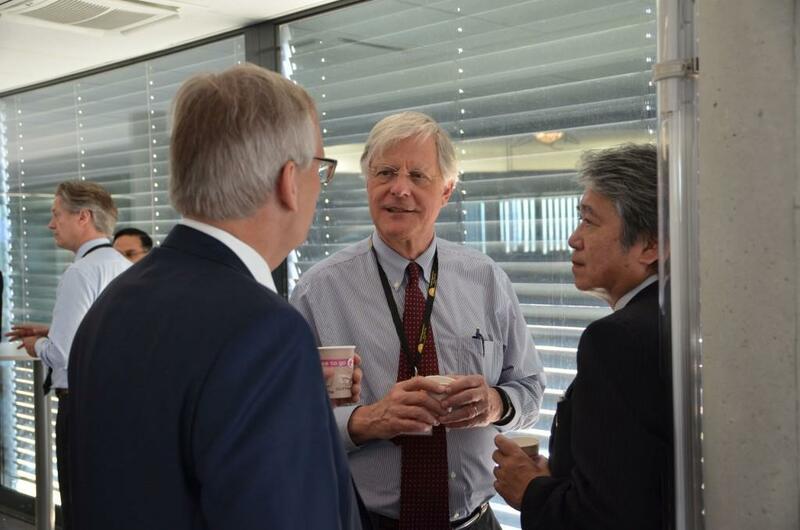 Head of the US ITER Project Ned Sauthoff speaks with the Head of the ITER Project Control Office, Hans-Henrich Altfeld, and Masahiro Mori, Managing Director, Fusion Energy Research and Development Directorate, QST (National Institutes for Quantum and Radiological Science and Technology, Japan). 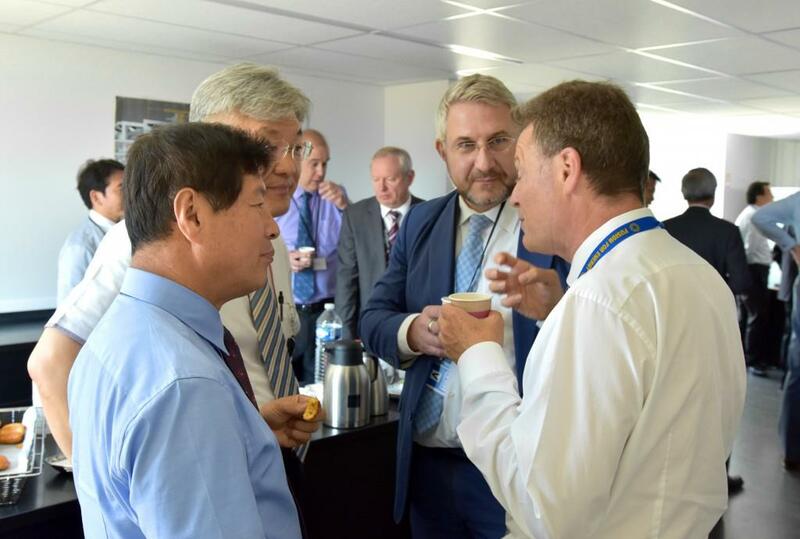 Head of the Korean Domestic Agency Kijung Jung; ITER Deputy Director-General (Chief Operating Officer) Gyung-Su Lee; observer from the International Atomic Energy Agency, Ralf Kaiser, Head of the Physics Section, Division of Physical and Chemical Sciences, Department of Nuclear Sciences and Applications; and European Domestic Agency Head Johannes Schwemmer. 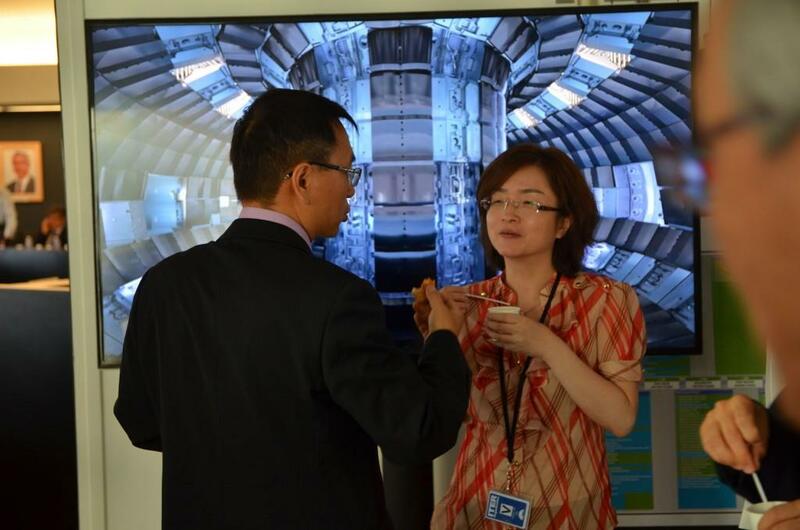 Jinlei Jia, Deputy Director-General, China Atomic Energy Authority, speaks with Mingxing Su, Administrative Officer from the Cabinet of Director-General, during a break in the deliberations. 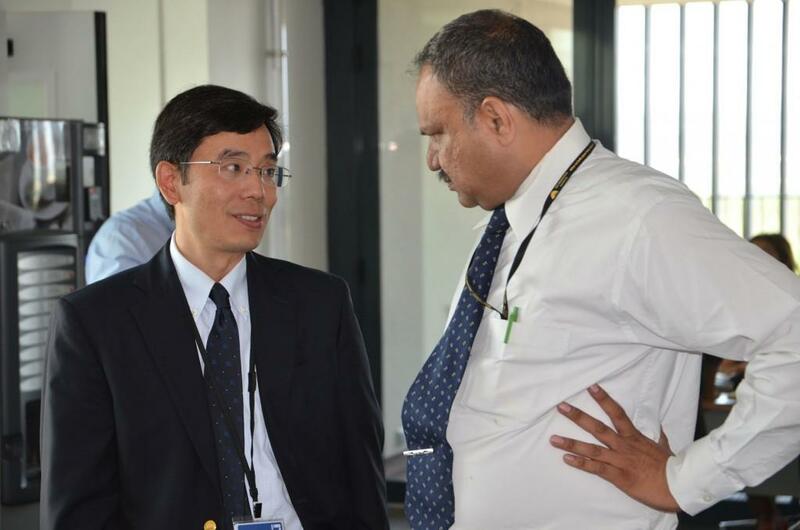 Chair of the Financial Audit Board Xuewen Hu and ITER Internal Auditor Dhiren Mathur. 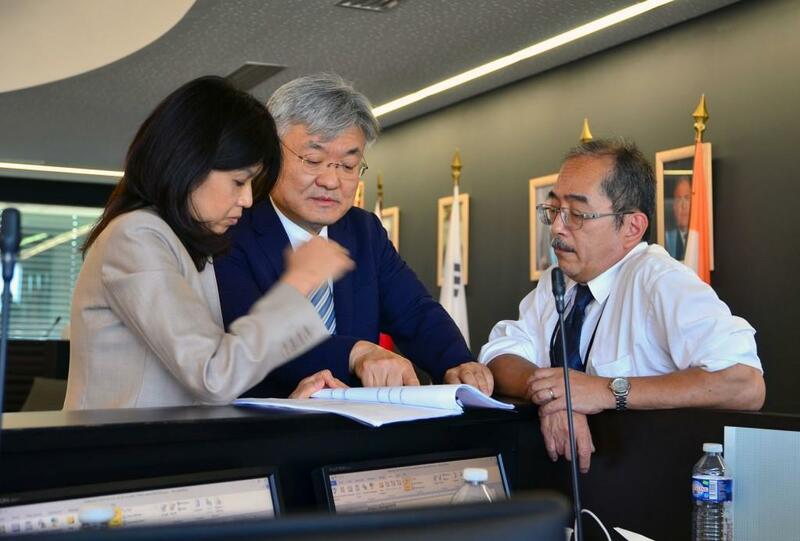 ITER Council Chair Won Namkung confers with Council Secretary Sachiko Ishizaka and Hyeon Gon Lee, Deputy Director-General of ITER Korea and Chair of the Council Preparatory Working Group (CPWG). 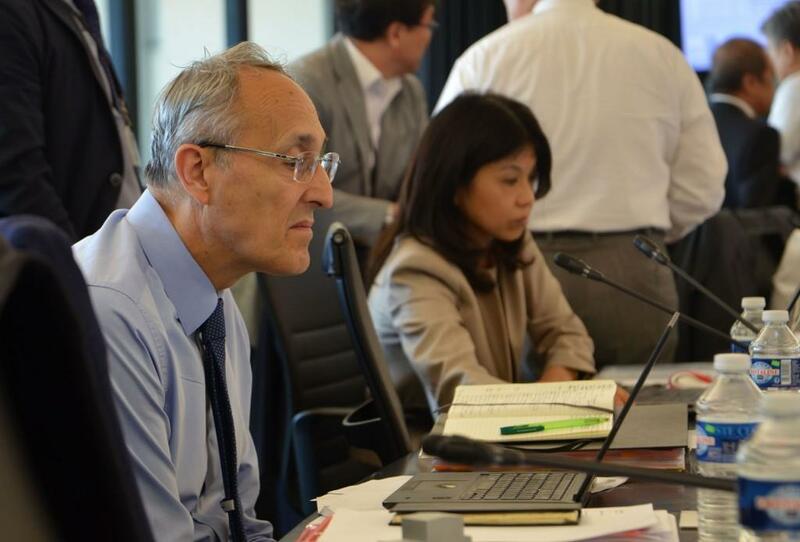 As Director-General of the ITER Organization, it's Bernard Bigot's fifth regular ITER Council meeting (following IC-16 in June 2015 and IC-17 in November 2015, IC-18 in June 2016, and IC-19 in November 2016). 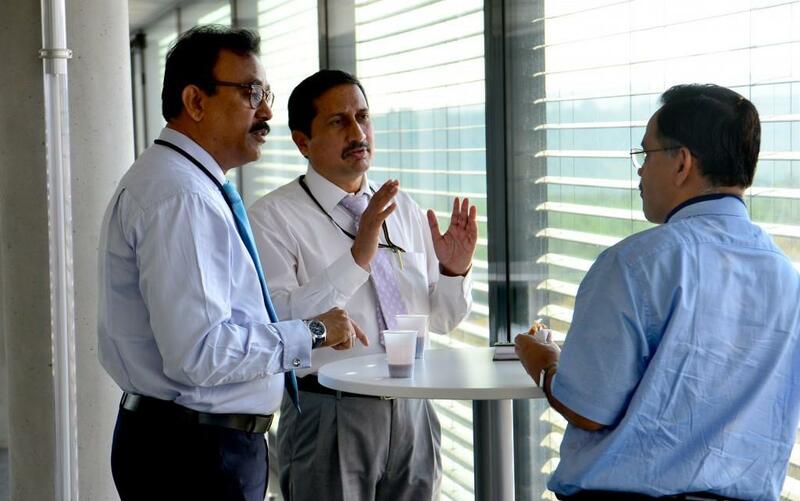 He speaks here with Deputy Director-General Eisuke Tada. 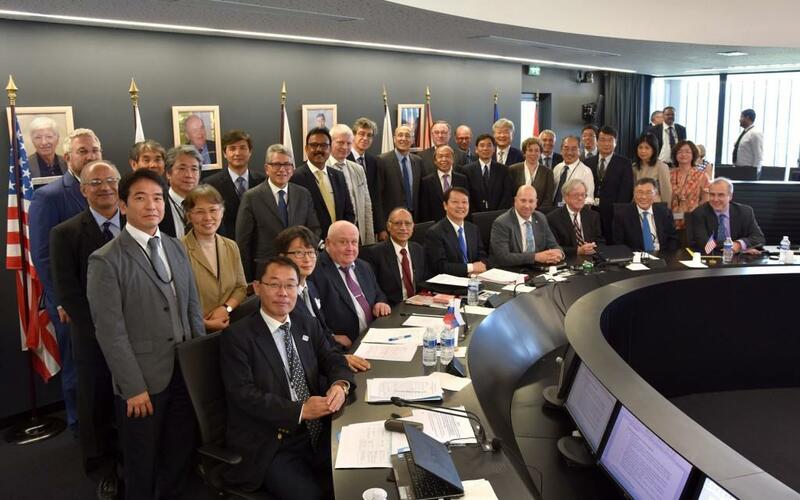 The official group photo for the Twentieth Meeting of the ITER Council, with representatives of the ITER Members China, Europe, India, Japan, Korea, Russia and the United States.